There's no lack of manga cafés in Tokyo, but this Koenji kissa is probably the only one exclusively dedicated to Western comics. 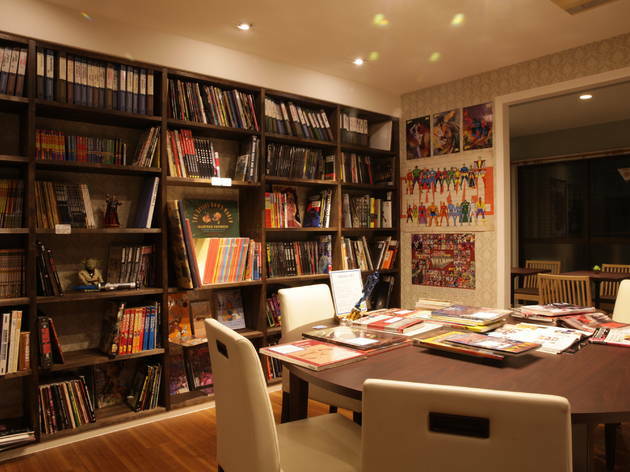 Around 300 books and mags, both originals and Japanese translations, line the shelves at ACBD, run by an avid collector of mainly American and Franco-Belgian graphic novels. The café hosts regular fan meetings as well.